One of the great mixed martial arts careers appears to be over after Ronda Rousey announced she is joining WWE full-time. 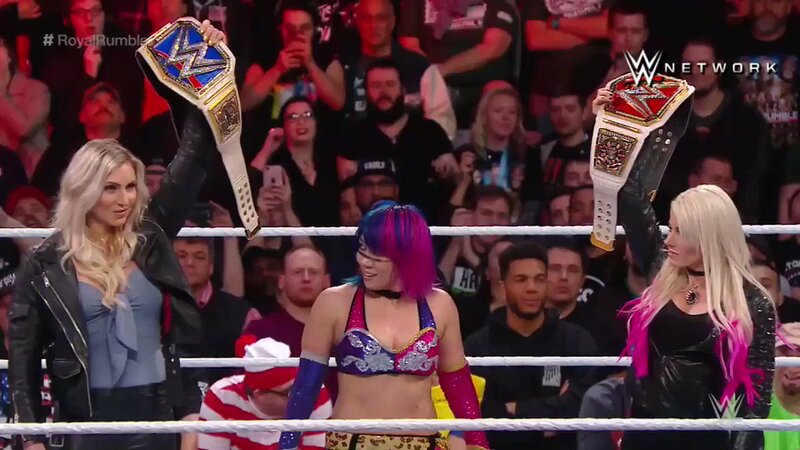 The former UFC champion made the announcement on Sunday night at WWE’s first-ever female-only Royal Rumble in Philadelphia. Although Rousey’s appearance on Sunday night was a shock to the crowd in Philadelphia – she had not been billed at the event – the 30-year-old had been linked with a move to WWE in the past. Her nickname “Rowdy” is a tribute to legendary wrestler “Rowdy” Roddy Piper and she has attended several WWE events this year. She also made an appearance in the ring with The Rock and Triple H in 2015. Rousey – along with Conor McGregor – was UFC’s most bankable star until a series of defeats. She became the UFC’s first female champion in 2012 and made six defenses of the women’s bantamweight belt, all inside the distance and all but one inside the first round. But the former Olympic bronze judo medallist suffered a spectacular knockout loss to Holly Holm in 2015, then after a year-long layoff was dominated in her comeback fight against Amanda Nunes. Rousey is the latest in a long line of fighters to swap between wrestling and MMA. Brock Lesnar has held world titles in both while other crossover stars include CM Punk, Ken Shamrock and Quinton “Rampage” Jackson. This year McGregor took part in a crossover event of his own, taking on Floyd Mayweather in a boxing fight. McGregor lost that event but made tens of millions of dollars.